Police in Spain have smashed two organised people smuggling gangs that are said to have trafficked over 100 migrant children from Morocco to Spain. 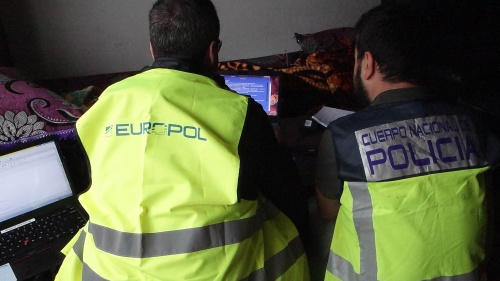 The Europol-backed operation resulted in the arrest of 28 suspects, who were detained after law enforcement raids on 100 properties, during which investigators seized a number of bogus travel documents, data storage devices and smartphones. Members of the gang are said to have charged migrants as much as €8,000 ($9,320) each to be smuggled into Spain using a number of dangerous methods, transporting their victims on wooden boats, jet skis, fishing boats or by hiding them in vehicles. In a statement, Europol said gang members appeared to be professional and well-organised, instructing migrants to tell police they were underage once they arrived in Spain, which would result in them being taken to a reception centre where their documents would be prepared. The first phase of the operation saw police target gang members involved in the provision of fake travel documents and the smuggling of children from Morocco to Spain. This resulted in the detention of 22 suspects in various cities across Spain. Three of the suspects were Moroccan nationals who worked for a reception centre for migrant children in Asturias. As soon as the children had been smuggled into Spain, a second criminal gang kidnapped the minors, extorting money from their families back in Morocco. They used threats of violence until a ransom of €500 had been paid for each child’s release. The second part of the investigation resulted in the arrest of six members of the group. “Smuggling by land through border crossing points has been of special concern to Europol and is being closely monitored as a means of transportation widely used through the Balkan route,” Europol said in a statement. In January, data from Frontex revealed that people smugglers were increasingly avoiding the central Mediterranean route in favour of attempting to traffic migrants into Europe via Spain. The EU border protection agency said the number of illegal migrants arriving in Spain by sea more than doubled in 2017, adding that it expected that increase to continue throughout this year as smugglers face a continued crackdown on their boats leaving the coast of Libya for Italy and Greece.